A quickie ! 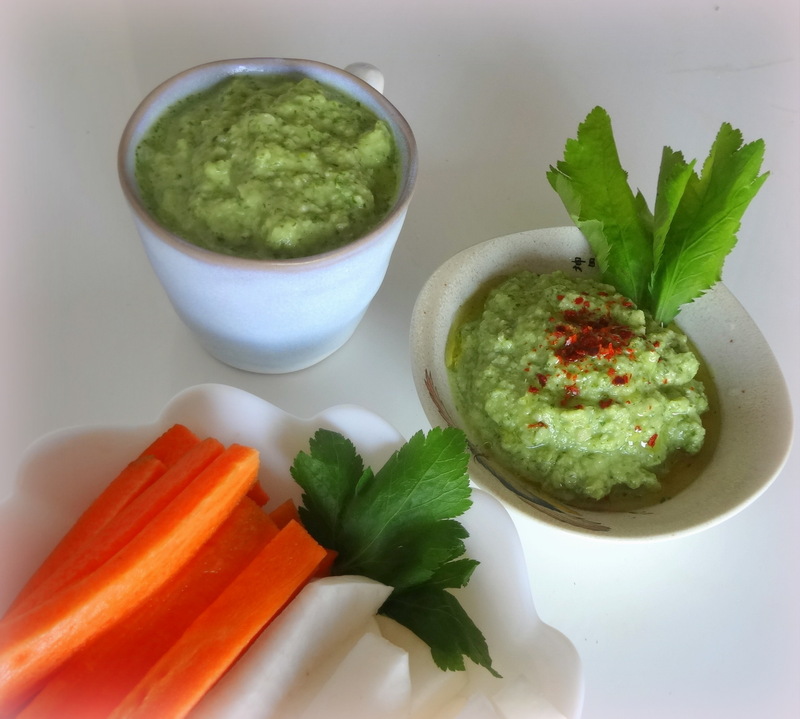 Fresh green and healthy, a Summer hummous based on broad beans (favas). 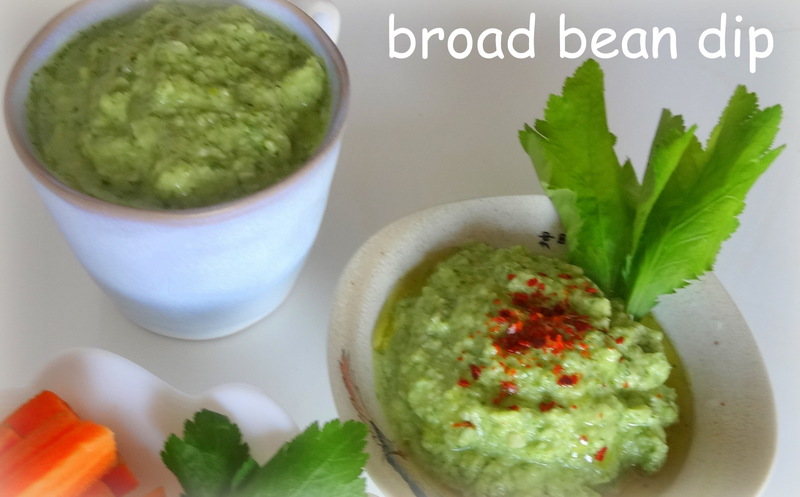 Pound or blend together : boiled broad beans (fresh or frozen), a bunch of mitsuba leaves with stalks, a little bit of garlic, salt. Add a little olive oil. Let chill. 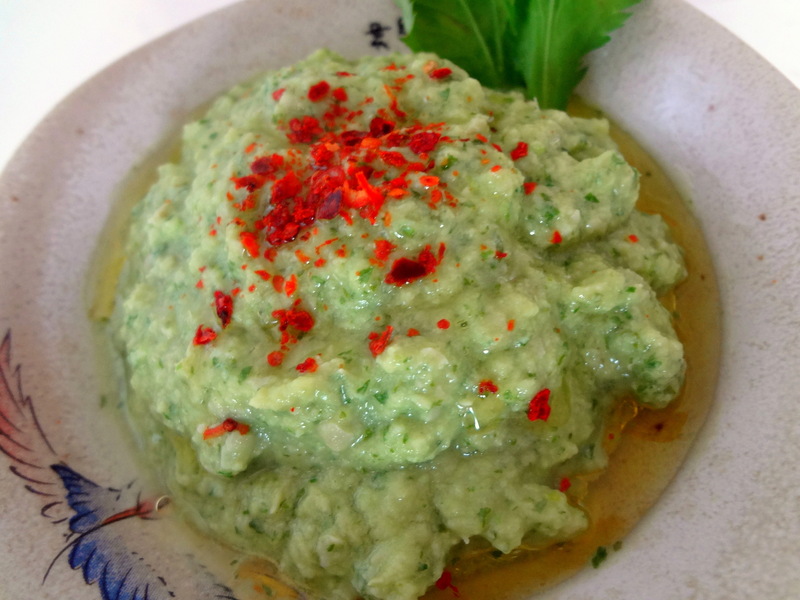 Serve with a drizzle of olive oil and chili flakes. 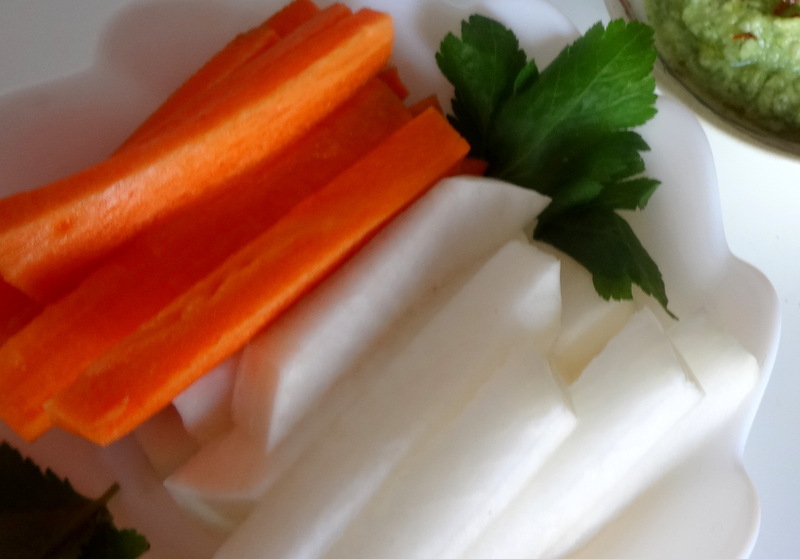 Sticks of raw veggies to dip in that.